The streets of Mumbai, India, are a lot different than the hills of Tallahassee, Florida. The crowds are like walking through Disney World minutes after the fireworks end, but for 24 hours a day. Yes, even when I went outside for a run at 6 a.m., the streets were busy with pedestrians, cars, and bicycles. India has a powerful economic engine, driven by more than 1.4 billion consumers clambering to get their share of India’s growth in prosperity. While 80 percent of the country earns less than $10.00 a month, there are millions of prosperous Indian families as well — many more than the U.S. in fact. 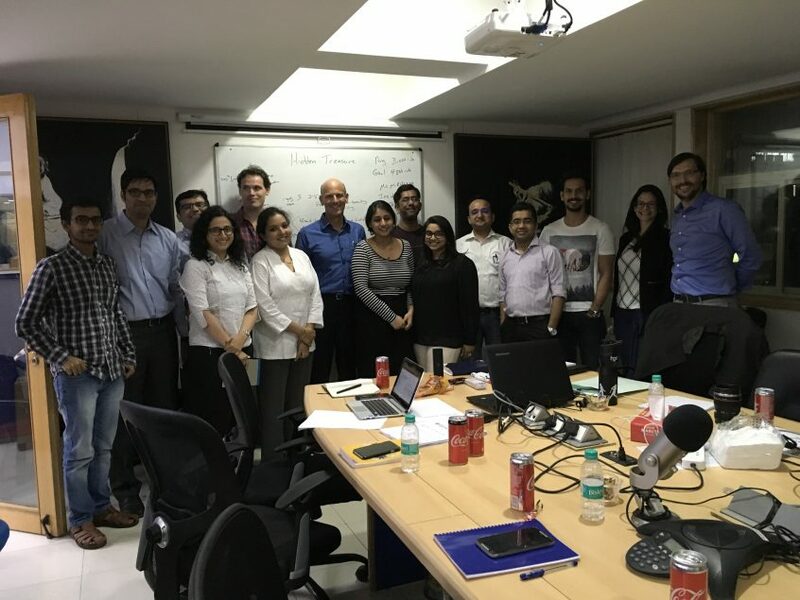 This month, I had the opportunity to travel outside the U.S. to work with Agora’s affiliate in India, Equitymaster. At the center of this economic engine is the Indian stock exchange — a place where thousands of India’s largest companies go to generate cash from investors to expand their operations. Agora Global is one of the largest publishing companies in the world, one that nobody has ever heard of. They never do any “brand awareness” marketing. Every dollar is invested with the expectation of an immediate return, direct marketing. Thus, you’d have to be a customer or prospective customer to know they exist. And, even then, you may know an affiliate company without ever knowing Agora is behind the scenes. Companies like Stansberry Research, Money Map Press, New Market Health, Agora Financial, and several others that operate independently, are affiliates of Agora. I’ve had the honor of working with several Agora affiliates to reduce refunds and increase subscriber conversion by creating onboarding marketing sequences for new customers. These sequences help keep them excited about the products they purchase and get them engaged in implementation. Equitymaster had followed the Agora direct response marketing template targeting India investors, delivering advice on investing in Indian companies. Like many of the subscription companies I work with, their explosive growth helped bring the rest of the team up to speed on the vision and values of the subscription industry. It was my pleasure to be able to do that. After I returned to the U.S., I made a visit to the FSU vs. Clemson game with my friend Adam Witty, who is the CEO of Advantage Media and Forbes Books. After FSU got horribly defeated, again, I flew to Ft Lauderdale to speak at the Business and information Media Summit, which was cosponsored by Connectiv, the Business Information Association, and the Specialized Information Publishers Association. I had the honor of being a presenter for a pre-conference session on the Three Cornerstones for Skyrocketing Renewal Revenue: Engaged Onboarding, Compelling Content, and Persuasive Marketing. Again, there was an international flair, as the session attendees traveled from throughout the USA, UK, Germany, and Bulgaria. With the holidays approaching, I’m staying a lot closer to home this month, traveling again to Baltimore for a week with Money Map Press to support several editing teams in maximizing subscriber lifetime value, as well as and meeting with several clients at my office, planning for maximum membership and subscription growth in 2018. If I can accelerate your efforts to grow your membership revenue in 2018, connect with me via email at RS@RobertSkrob.com.